Innsbruck is the capital city of the state of Tyrol, epitome of Austrian travel, and a perfect gateway to the Alps. It has received international significance as a European political center during the renaissance, and as an Olympic city in modern times. This picturesque urban hub is tucked away in a valley between towering mountain ranges, close enough to touch. A popular destination for outdoor adventure and sports, the pride of this city is its seamless transition into nature with alpine peaks right in its backyard. With numerous five star hotels, gourmet restaurants, bewitching cultural treasures, and priceless views, the fully developed city of Innsbruck provides a unique opportunity to conveniently experience the luxurious lifestyle while right within the Austrian Alps. In the summer, stroll through alpine meadows and garden parks blossoming with flowers. Come winter, bring your skis and snowboards, but be ready to strip off your layers for saunas and spas. For the ultimate feeling of freedom, rent a luxury car in Innsbruck and make this city your portal to the adventures that await. 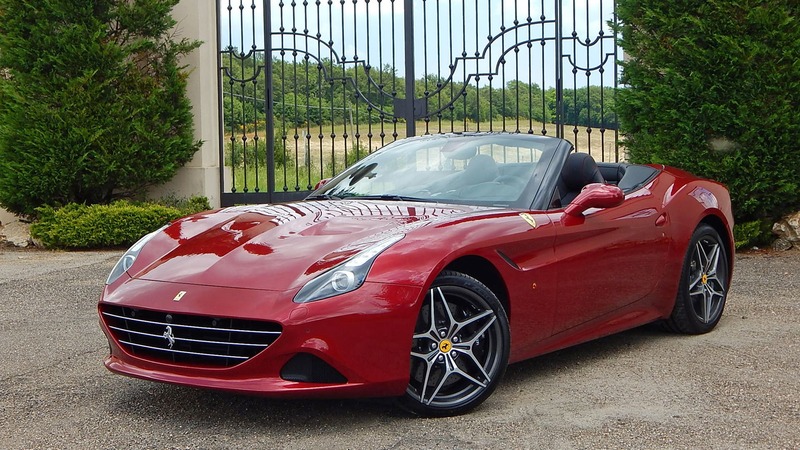 Pick from a variety of high end marques based on style and power during your luxury car rental in Austria, from Italian exotics an rent a Ferrari or Lamborghini oe elegant English vehicles like Aston Martin and McLaren. Rent from the masters of German touring namely Audi, Porsche, BMW, and Mercedes-Benz. Make Innsbruck your base, because within Tyrol are several incredible drives swooned over by motorists on two wheels or four from all over the globe. Whether it’s the twin turbo Ferrari 488 GTB you desire, qullwinged Mercedes-Benz SLS AMG, or top down Bentley Continental GT Speed Convertible you crave, you can now put your dream car through the Austrian drive of your dreams. Come winter, stay comfortable and confident in a capable luxury SUV, such as any from Land Rover’s range rover line. From castles and cathedrals to quaint mountain villages, rent a luxury sports car or SUV to experience the endless motoring magic in and around Innsbruck. Rent a sports car in Innsbruck and carve the picturesque roads through Tyrol’s section of the Alps. Tyrol is full of scenic routes and breathtaking mountain passes that will undoubtedly show you just how a high performance exotic car can truly come alive. Rent a luxury sports car during the summertime to carve the high alpine roads of Schlegeis, Timmelsjoch, Zillertal, and more with their climbing switchbacks and nonstop panoramic views. As the capital of Tyrol, Innsbruck creates the optimal fusion between a luxurious urban city and a getaway into the great outdoors. Take the Hungerburg Section I funicular by legendary architect Zaha Hadid up the Nordkette mountain range. Tour the Renaissance castle and cultural jewel, the Schloss Ambras. Relax in the cafe at the top of the Bergisel Ski Jump with impressive views of the city below. See the elaborate bronze statues within the royal gothic cathedral Hofkirche. View the ornate interiors of baroque churches like the Wiltener Basilica and Stift Wilten. For a truly dazzling display, visit the Swarovski Crystal Worlds nearby. Walk through the myriad of museums and gardens, stroll past monuments and memorials, and drive your luxury sports car or SUV to palaces and neighboring valleys. During the holidays, Innsbruck becomes a true winter wonderland. A robust selection of luxury ski resorts and hotels are available to serve your every need during your adrenaline-pumping sporting adventures with luxury car rental Innsbruck.